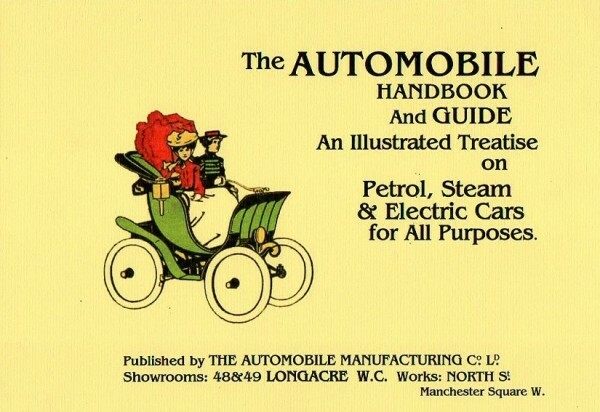 a reproduction of a possibly unique copy of the original brochure dated 1900, is a joint project of the Society of Automotive Historians in Britain (SAHB) and the MSMT. The original brochure is a rare landscape size illustrated treatise on early production motor-cars, dated November 1900. Loaned by a SAHB member, this reprint project has been funded by the Michael Sedgwick Memorial Trust. The SAHB will oversee the marketing and selling of the publication, and the profits from the venture will be shared equally by the SAHB and the Trust. Having first undergone significant ‘cleaning’ and ‘image sharpening’ by a qualified commercial artist, nothing has been lost of the style and charm of the original publication. The saddle-stitched cover has been printed on 300 gsm textured card, similar in colour and style of the original. The 48 page illustrated text has been printed on 130 gsm gloss art paper to aid image contrast. With a foreword by the SAHB Chairman, this edition is strictly limited to only 150 numbered copies, priced at £19.95, or £22.00 with post & packing included.